Does Scalzi describe what the Rraey look like? I do not remember what they look like, nor can I find any answer to my question. I'm at the end of Old Man's War, so if you've read the book you can probably understand that trying to visualize them is kind of driving me a little nuts. I have tried to piece together what they look like from what's happening in the book, but it's just not coming to me. I'm really having a hard time because all I can remember about them is that they eat people and their name. Yes, but you have to read the next book "The Ghost Brigades" and you'll get a little more information on what they look like, but not a lot. For some reason, I remember imagining that the Rraey look like humanoid birds or chickens because they squawk a lot during battle. On page 15 of the Ghost Brigades: a Rraey is examining humans. And he describes the human (he also describes himself) as roughly the same size and shape as he is, bipedal, and bilaterally symmetrical. The Rraey also notes the differences: However, human knees bend the opposite way and the human torso is broader as is the abdominal plain with a generally awkward skeletal structure and musculature. That's all I could find/remember, there might be more hints but I would have to read the book again. I found this interview that Scalzi gave. Scalzi (talking about the ethnicity [or lack thereof] of his characters): In terms of character, I still find myself not giving much of a description of ethnicity and so forth simply because I don’t want to write anything that isn’t essential. This isn’t just with human characters. With the Obin I almost never described what they looked like. I don’t say what most of the races look like. Henninger: I imagined the Rraey looking like Rachel Ray. Scalzi: Ha! And why not? I couldn't find any other reference online to their physical description (though I doubt they look like Rachel Ray). 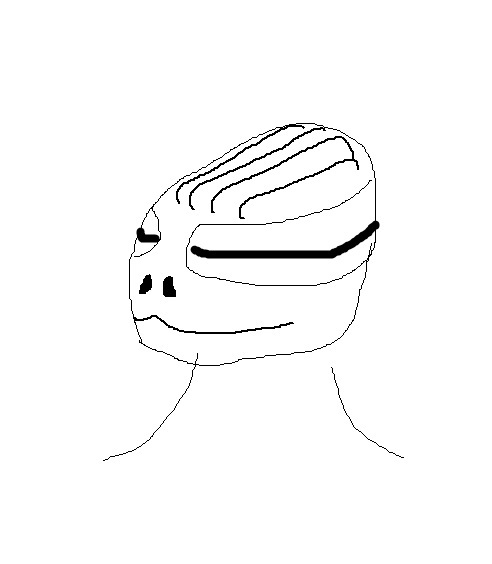 I visualized the Rraey as digitigrade (like the Turian of Mass Effect) hairless humanoids with a single visor-like eye (and presumably a single ear, nose, and mouth) and folds of skin on the head. They are described obliquely in the second book. I don't know what the Obin look like however. I have always imagined them to be like a somewhat sinuously lengthened and organic version of Marvin the Paranoid Android with double rows of six eyes on their heads and multiple hands. I kept imagnining the Rraey as a plain looking alien, like the little grey men, but with two long eyes along either side of its head. These eyes reminded me of how a goats eye looks like, with the long pupil. Not the answer you're looking for? Browse other questions tagged old-mans-war john-scalzi or ask your own question. In Scalzi's “The Last Colony”, how did the CDF know that Perry offered Gau a chance to surrender? The Human Division - Who is the Stealing all the Ships? In “Agent to the Stars” by John Scalzi, where did the Yherjak words come from? In Scalzi's Last Colony, what happened to the indigenous intelligent life found on Roanoke? In John Scalzi's “The Human Division,” who did Michael Washington work for?